If you are a motorcycle enthusiast, chances are you love to ride your bike as much as you can. That means riding in great weather and not so great weather. It also means that you love to take your bike for a ride during the night as well as during the day. In fact, many people use their motorcycle to commute back and forth to work. It’s economical, it’s fun, and motorcycles have a way of maneuvering in and out of traffic easier. So, if you’re one of those who use a motorcycle to commute to work, you probably travel in the evening hours when it’s dark. Having the best eye protection at night is crucial for a safe ride. Fortunately, lens technology allows cyclists to have the eye protection they need as well as clarity of vision during those night rides. Without the proper eyewear, driving at night can be difficult. The main problem is the glare of headlights from other vehicles. The glare of headlights can irritate your eyes making it harder to see. Eyewear manufacturers developed an anti-reflective coating on clear lenses to help reduce the glare of headlights. The overall effect is less eyestrain and a more comfortable ride at night. Another feature of anti-reflective lenses is that it provides 100% UV protection during the day. This keeps your eyes protected from the sun’s rays. 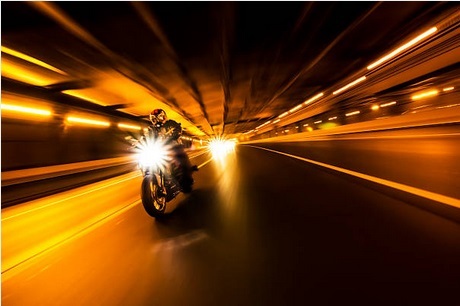 To help you select your next pair of glasses for riding at night, we have compiled a list of the five best motorcycle glasses for night riding. These shatterproof glasses are a part of Wiley’s Climate Control line and are superior in protection. The lens is clear with anti-reflective technology on both sides allowing you to see past the glare of headlights. You also won’t need to worry about the lens easily scratching. A special coating makes them scratch-resistant. In addition, these glasses exceed ANSI Z87.1-2010 high-velocity standard and meet the high mass impact standards and passes the US Federal OSHA requirements. Designed for smaller heads, these frames have vented opening to allow the airflow to keep you comfortable. You’ll love the removable facial cavity seal that forms around your eyes keeping dust and dirt out. If safety is a priority to you, then you’ll be glad to know this lens supersedes even the military ballistic standards and is authorized for military personnel to use. In addition, the Wiley X SG-1 has shatterproof polycarbonate lenses. Do you like the option of straps or temple arms? If so, you will like this set. You can conveniently swap between straps and temple arms. Clear lenses allow you to see with clarity in the evening and they are even compatible with a night vision goggle modular system. A 90-degree wrap-back style eliminates tunnel vision so you have the best view possible. Never worry about the fog or humidity with these glasses. They come with a special coating that gives you anti-fog protection. Stay cool with a ventilation system keeps you from getting sweaty on hot, humid nights. The Bobster goggles have a photochromic lens which is handy if you plan on riding during the day and night and don’t want to change your glasses. These lenses automatically adjust to the changing light conditions. The lenses will automatically get take on a medium gray tint when the sun is in view and then revert back to a clear light tint when the sun is down. You also get the protection of polycarbonate lenses that are known for their shatter-resistant properties. Anti-fog coating keeps your vision crystal clear in all conditions. Ride in comfort and in style with these glasses that provide maximum glare reduction. The anti-reflective technology eliminates color distortion, while the lens also has a special coating to resist scratching. Another feature that is sure to be a winner is the “No Tears System.” It includes a removable ultra foam seal. Keep the wind and dirt away from your eyes with the airtight foam seal. Not only do you get ultimate night riding vision, but eye protection. This model exceeds the ANSI Z87.1 safety standards and the lens has shatterproof technology. The temple tips are double injected to provide maximum stability. So, you’ll need not worry that your glasses will slip during those fast rides. Goggles take your riding experience to a whole new level. The flexibility you get with a head strap means you always have the perfect fit. Adjust them to your comfort level or swap them out for temple arms. These frames are lightweight, yet boast of shock-resistant technology. A venting system that is built into the frame keeps you cool on muggy nights and it also ensures that your goggles don’t get fogged up. A foam seal around the edge of the lenses keeps all the flying particles away from your vision making sure you have visual clarity. When you take that bike out a night, you can be sure that you’ll have ultimate protection and visual clarity when you sport one of these pairs of glasses. When selecting your pair of glasses, choose what features are most important to you. Next, keep in mind you will want something that fits your head frame well. Check the informational section to determine which ones fit the size of your face. However, if you opt for goggles, you won’t need to worry about that. Finally, you want your glasses to suit your taste and style. 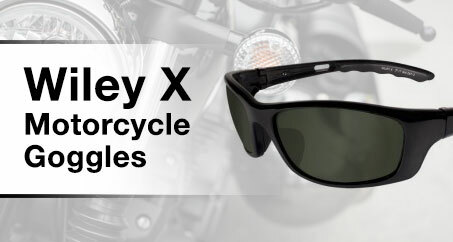 For more information about selecting the perfect prescription motorcycle riding glasses, connect with Prescription Motorcycle Glasses. We carry a wider variety of glasses to meet the motorcyclists’ needs. From sleek and glossy to wide and matte, the options are many for motorcyclists.